Complete renovation finished in 2008. A four Bedroom, 3980 sq ft, unbelievable views, new gourmet kitchen, with a large detached studio that has its own kitchen and bath. All this on your own private one acre lot. 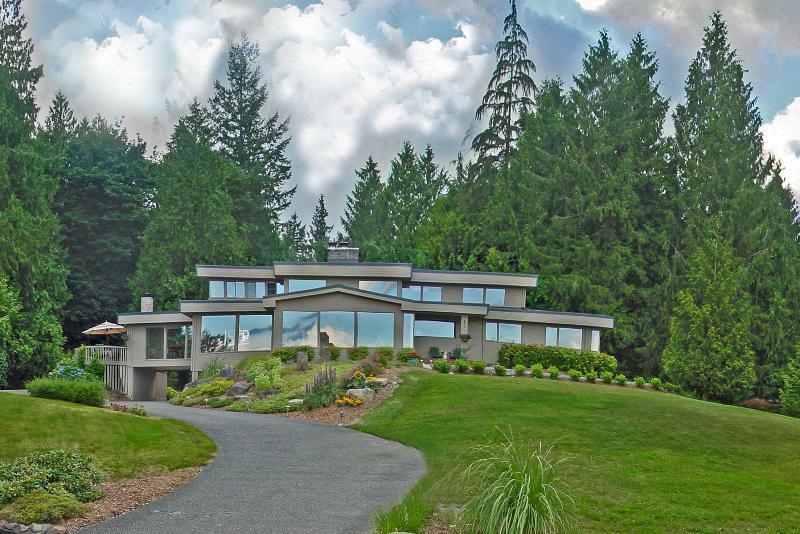 This Executive Retreat is one of the Northwest's Classic Contemporary homes. The sprawling estate greets you everyday. When you step inside the expansive views underscore your choice. You can relax in your living room, dinning room or master bedroom while gazing at the ever changing Cascade skies. The gourmet chef's kitchen brings friends and family together. The party moves easily from the kitchen to the outdoors, just steps away on the huge deck where the view and waterfall will be enjoyed by all. After sunset, your friends retire to their own room with a view or the studio apartment for the night. After brunch you show them your collection in the garage. When you walk the grounds, your ego transcends beyond cookie cutter mansions to a time when form and substance created the cornerstone of great homes. Back inside, slip away to the master suite and bath... your sanctuary: A spa tub placed perfectly to enjoy the view and a fireplace to warm the soul while the moon rises over the cascades. You have style you'll never find with today's multiple home builders. Do you feel this where you live today? Copyright © 2011 Bill Blanchard. All rights reserved.